Edward John Moreton Drax Plunket was a the 18th Baron of Dunsany and a prolific member of the Irish Literary Revival. He was enlisted as a second lieutenant in the Second Boer war, and served later as a Captain in the trenches in World War One. His acquaintances included: W. B. Yeats (who published some of his work), Rudyard Kipling (a friend, and sometimes neighbor), and Authur C. Clark (a correspondent in Lord Dunsany’s later years). Dunsany’s fiction explored a broad range of styles over time, but he was most prominently known in his time as a dramatist. His early Weird fantasy, illustrated by collaborator Sidney Sime, featured an internal and imagined mythology, which helped inspire the excursions of later authors into high fantasy genre. Dunsany is considered by some critics to have written the first Sword & Sorcery tale in the form of The Fortress Unvanquishable, Save for Sacnoth; J.R.R. Tolkien, H.P. Lovecraft, Neil Gaiman and Ursula K. Le Guin have all cited Lord Dunsany as an influence to their work. Dunsany loved dogs, and used his status as an aristocrat to champion animal rights. 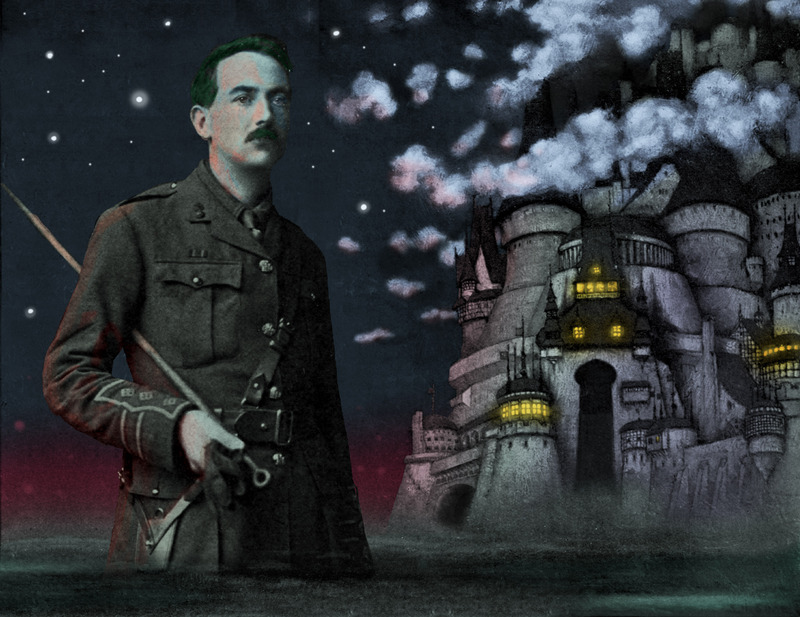 The Dunsany family, whose land and title date back to the 1100’s, used to maintain a website which described the 18th Baron as tall, handsome, ‘a keen marksman and a fine player of cricket, tennis and chess.’ In addition to sport, he was a novice illustrator and a sculptor of figurines.